Workout: 10 miles @ 7:19 pace. Weather: 57 degrees, partly cloudy. 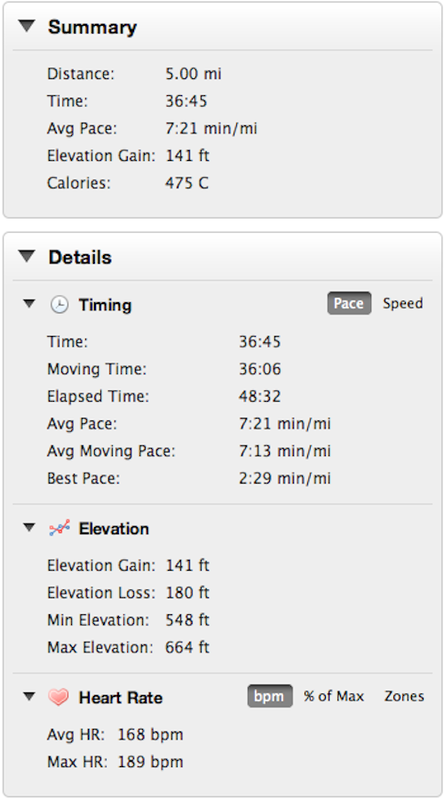 Today’s run was all mental. Week 12 of training was a cutback week, so my easy days and long run day was reduced. 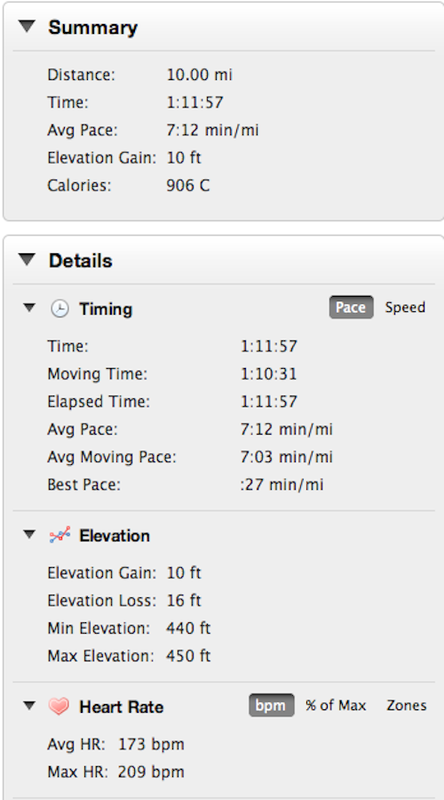 With today being 10 miles instead of 15, I didn’t have a lot to strive for. This run was not about breaking new ground, but just recovering. The challenge was keeping up the pace when I didn’t want to be outside. 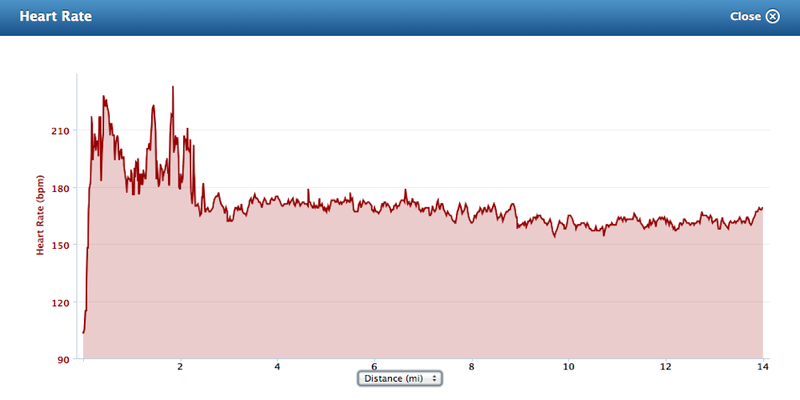 The first 2-4 miles were a little brutal in fact. Time seemed to go by so slowly. Reminded me of being a boy in church. I felt heavy, as if the next step was going to break my leg. After breaking into the run a little bit, it got easier. 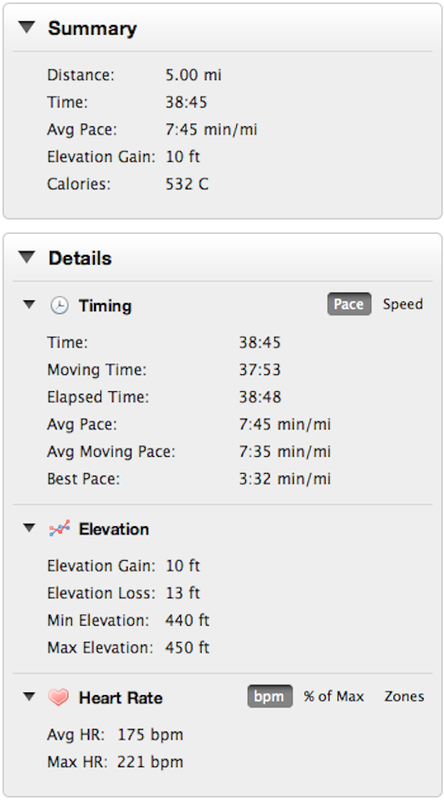 I remembered the method of breaking the runs down into 3-mile chunks from last week. 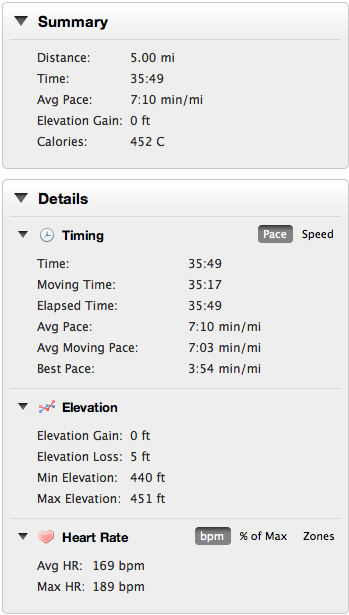 Instead of thinking “hold back for later”, I thought “attack the 3-mile portions” and get it over with. Probably was a little too aggressive to be honest. 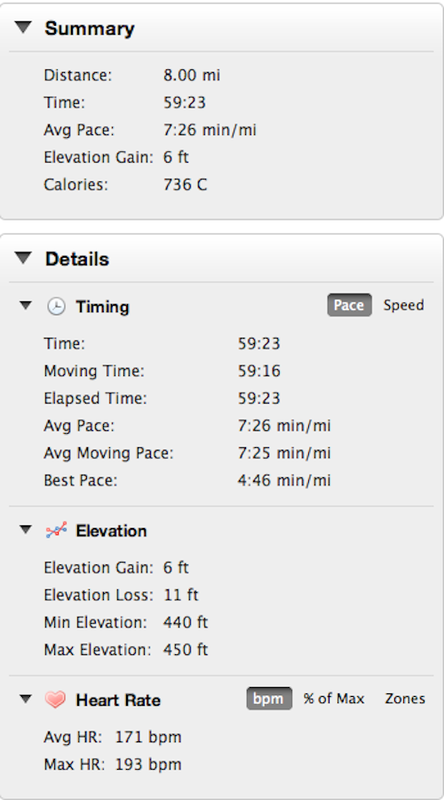 Closed the last mile in 6:39 for a 7:12 overall pace. Well…one month to go now until race day. Some fun goals to shoot for until then and a few things to consider. 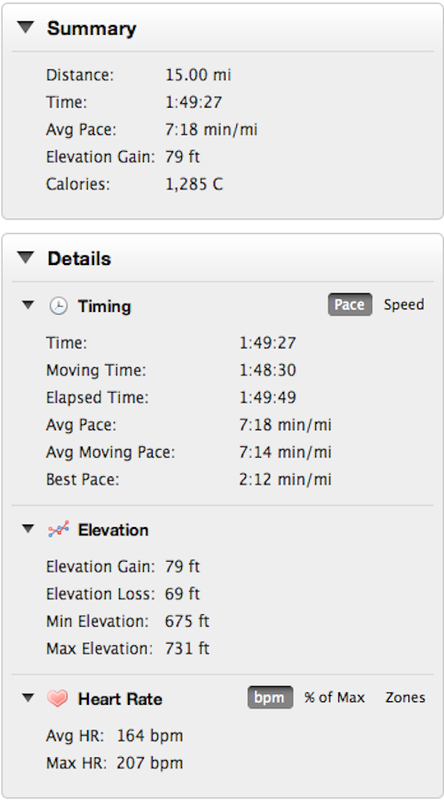 Looking to tie and top my longest run (16 miles) in the next two weeks. Hoping to get better at the speedwork that I’ve begun in the last two weeks as well. My training shoes have had it, and likely won’t survive another week. Time to replace those. Need to pick a race (preferably in a Southerly location like Houston or Austin). Above all, the goal is to stay healthy and enjoy the weeks. I enjoy training (and making progress) a lot more than racing, so it’s important not to get too caught up in the goal next month. I will improve regardless.